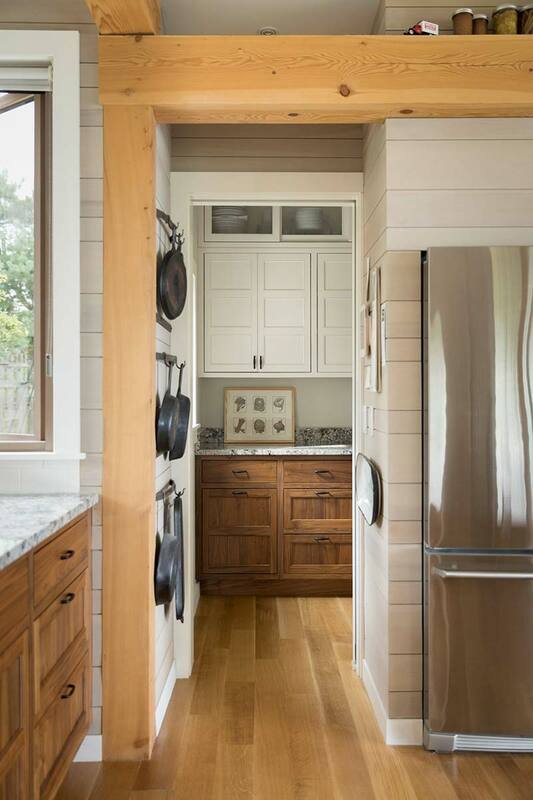 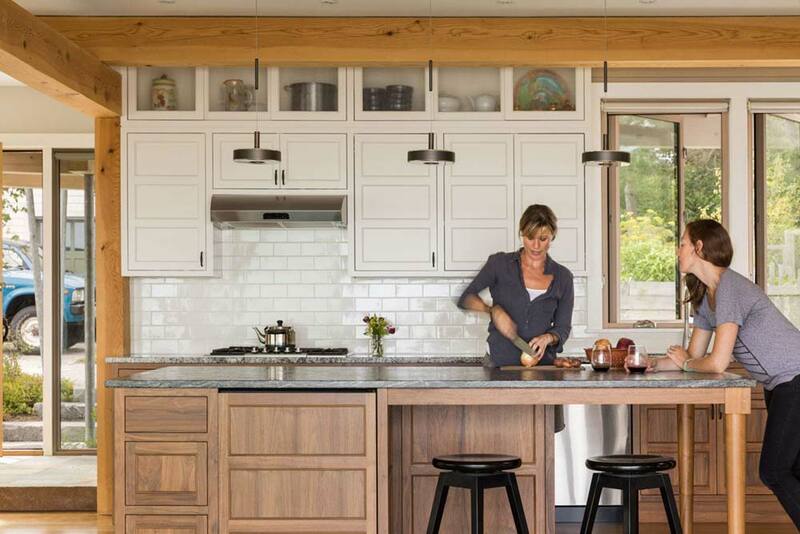 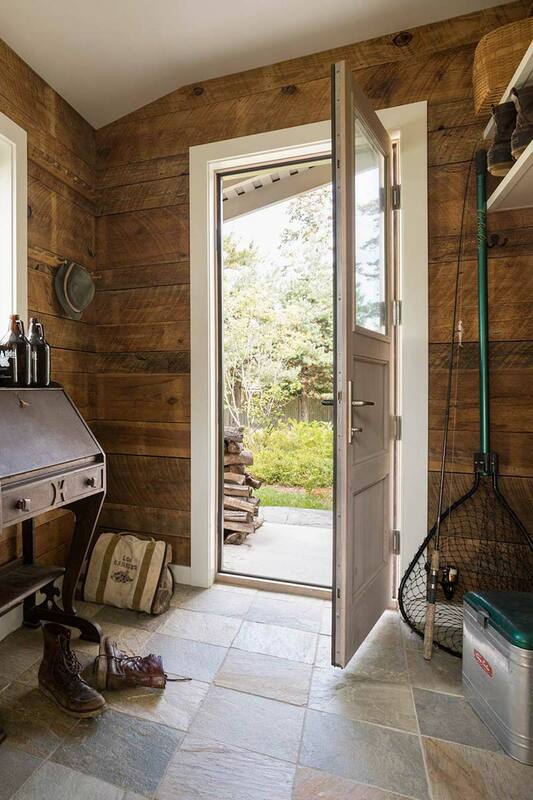 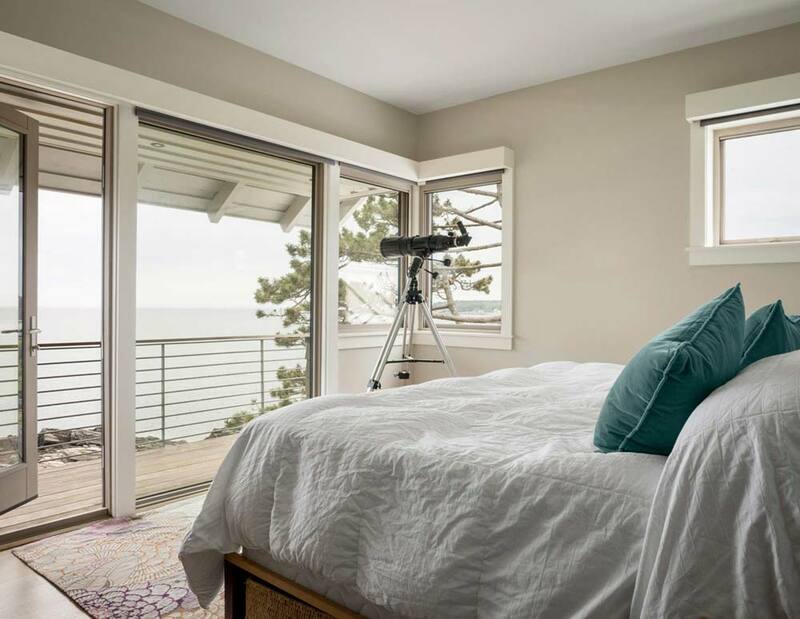 Mismatched cabinetry, an unobstructed view of the ocean from the porch, and plenty of natural light and materials – make up this charming Maine coastal home, designed by Caleb Johnson Studio. 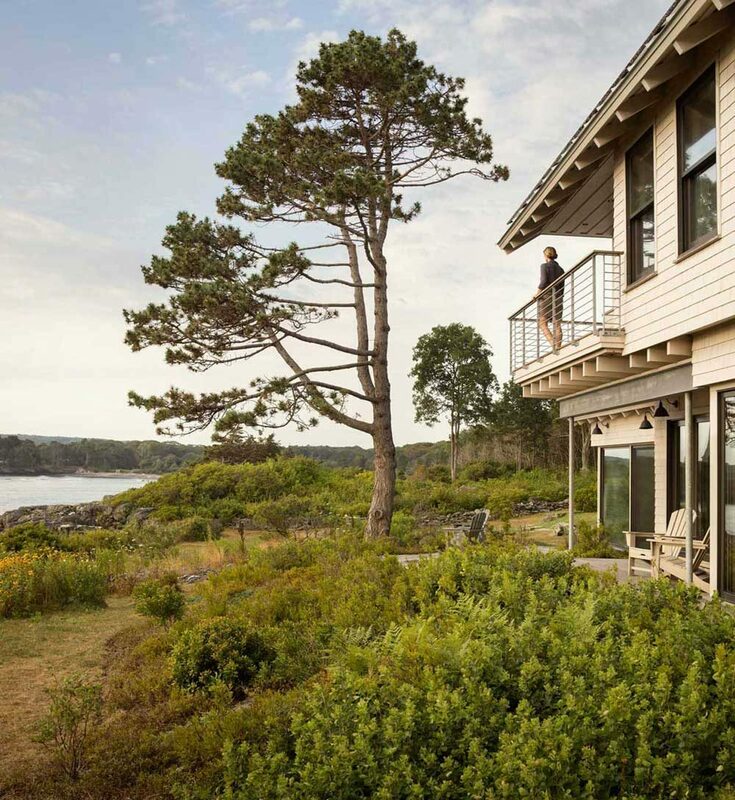 This modern classic coastal home is composed of a main house, a free-standing garage, and a small office. 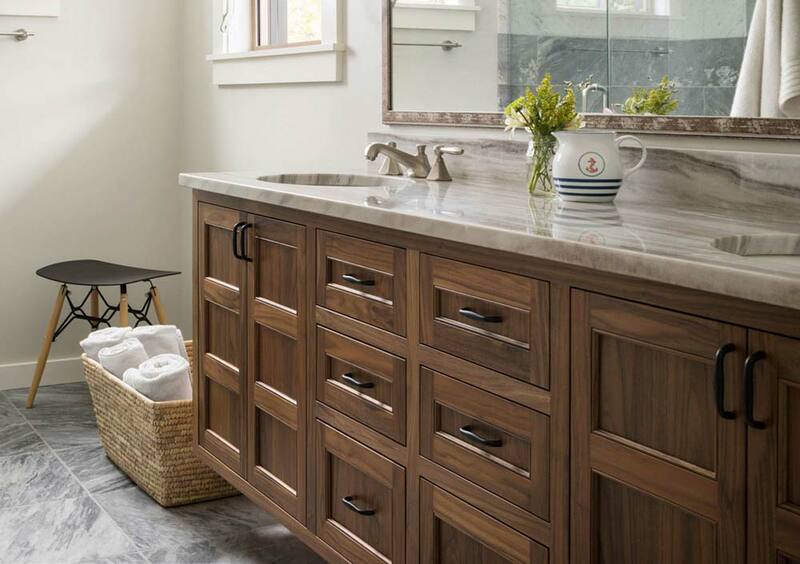 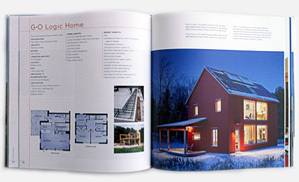 It is the epitome of traditional, with a quintessential array of modern simplicity. 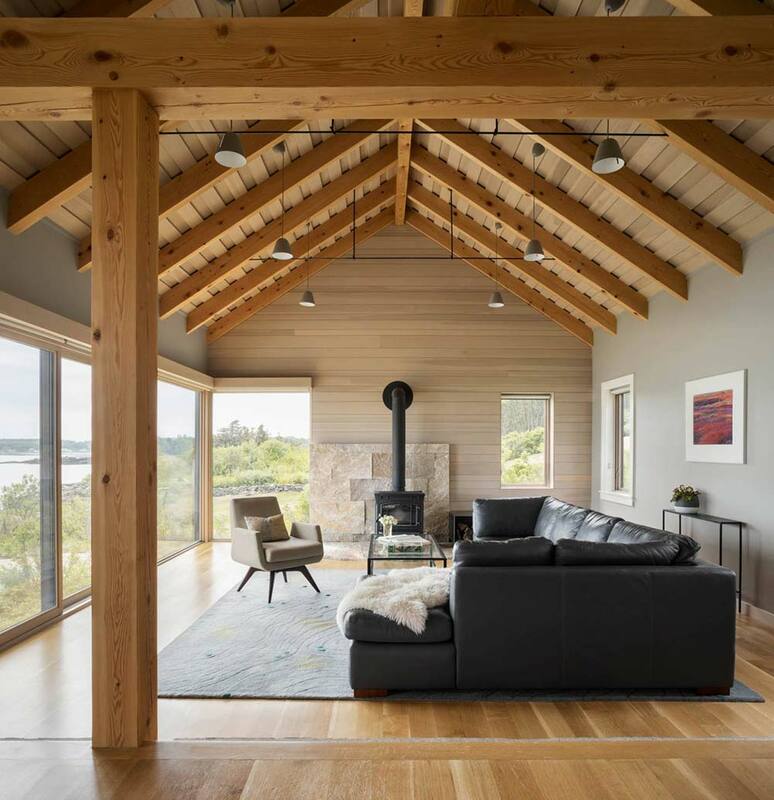 Offering a variety of wood walls, timber ceilings – such as the one found in the dining area and the vaulted one found in the living room, and ideal patio placement throughout, this space is as tranquil as it is inspiring. 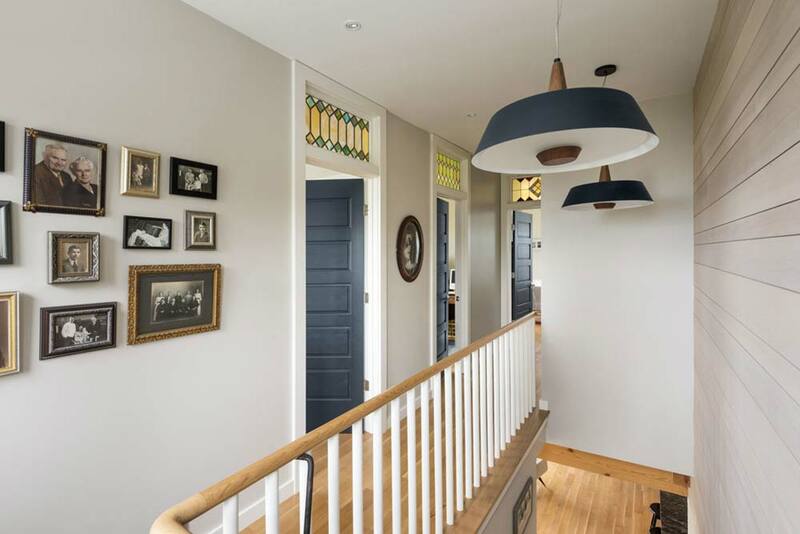 Accents such as navy blue doors on the upper floor, and matching lighting fixtures above the stairway, add a pop of rich color to this highly textured home, with stained glass windows overtop of the upstairs doors that create a church-meets-cabin kind of appeal, all lending itself to a chic country charm. 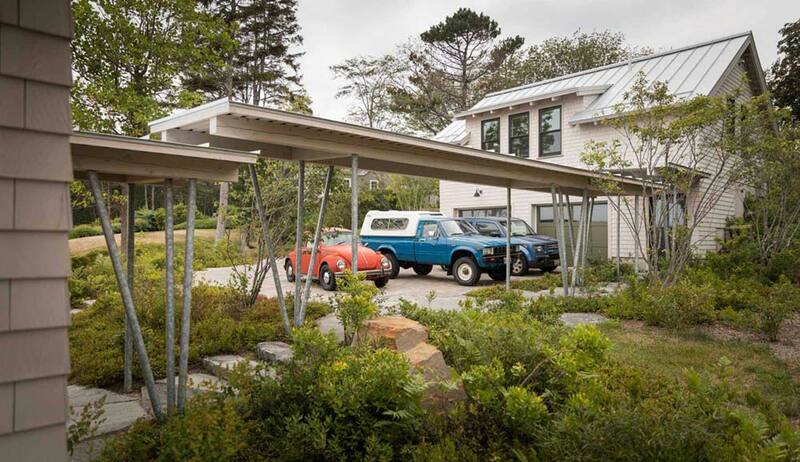 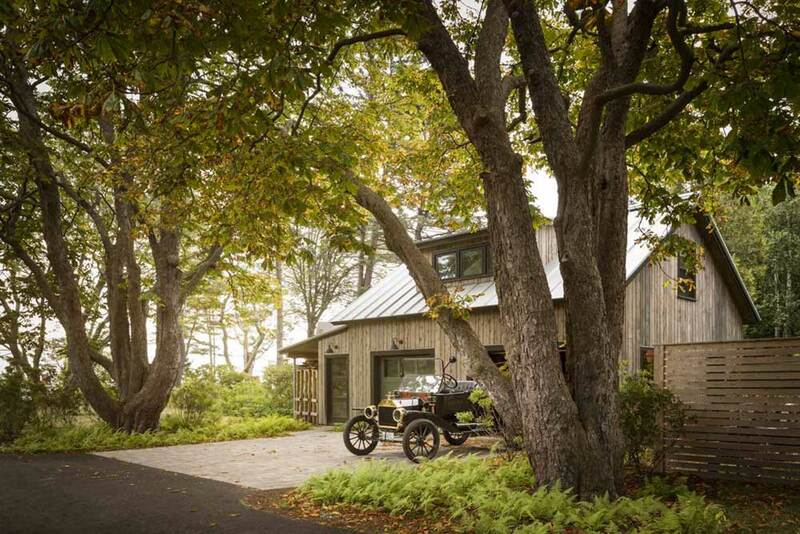 Connecting the home and the garage is a covered walkway constructed of galvanized steel beams, which bends with nature in respect for the tree line. 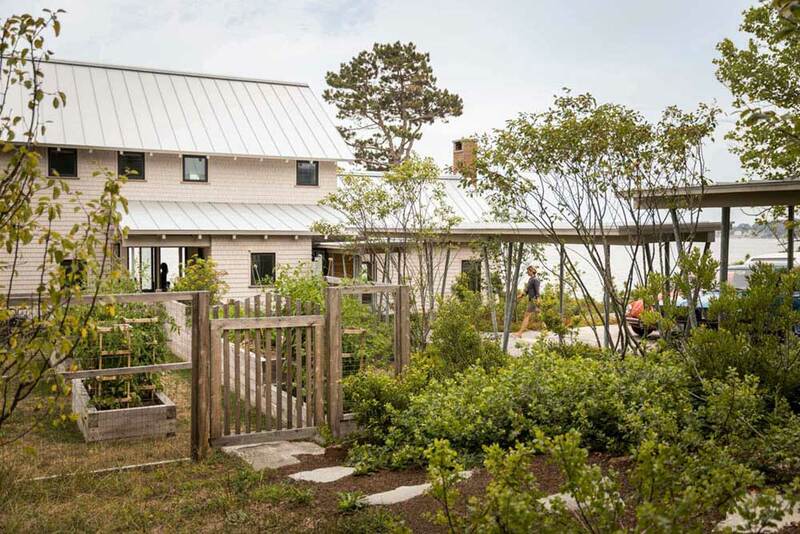 In fact, this entire home lends respect to nature; from the material used inside, to the visage found outside – Sea Change House provides full homage, and is truly a breath of fresh air.